Chelsea boss Maurizio Sarri is hopeful that Cesc Fabregas will decide to remain with the club, despite his lack of playing time this season. The Spaniard has featured in 13 matches across all competitions for the Blues this term, with only five of those coming in the Premier League, as he has fallen down the pecking order under Sarri. The Italian head coach has often opted to use the likes N’Golo Kante, Jorginho and Mateo Kovacic ahead of Fabregas, as he favours a 4-3-3 system which best suits his ‘Sarri-ball’ philosophy. 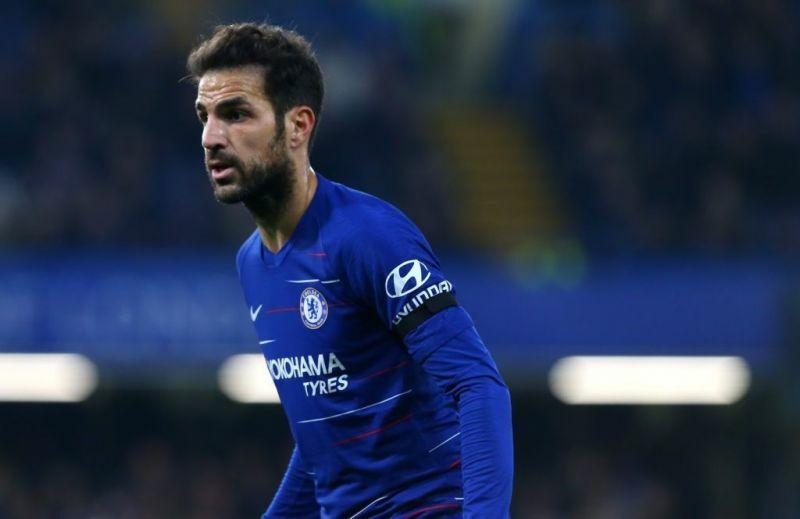 According to The Sun, Fabregas has grown frustrated at his lack of playing time in recent months and AC Milan are poised to secure his signature in January, but Sarri insists he wants the 31-year-old to stay in London. 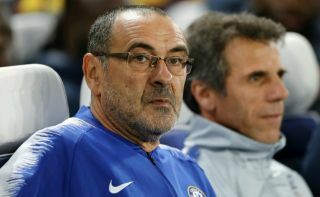 Ahead of Chelsea’s trip to Crystal Palace on Saturday, Sarri told Sky Sports: “In this position, we have only two players, Jorginho and Fabregas, so for me, it would be really a problem without Cesc. “But for me, it’s very important and if Cesc will go I think that we need to buy another player, and it’s not easy because, technically, Cesc is a very important player. Fabregas has racked up 196 appearances for Chelsea since his move from Barcelona back in 2014, helping the club to win two Premier League titles and an FA Cup. The veteran playmaker is widely considered to be one of the best midfielders of his generation, with unerring composure on the ball, radar-like vision and a passing range which is second to none. Chelsea are currently fourth in the English top-flight and they still have three cup competitions to play for next year, but they are far from the finished article under Sarri just yet. The Blues could still make use of his unique qualities between now and May but if they decide to cash in on him in January, their loss could be Milan’s gain and he could adapt perfectly to Italian football given its slower, more methodical pace.